Helen Bruner Lush Tanner, 86, formerly of Albany, GA and Sumter Co., GA died Monday, April 2, 2018 at her daughter’s home in Hampton, GA. Funeral services will be conducted Thursday, April 5, 2018 at 3:00 p.m. at Mathews Funeral Home. Rev. Joy Wilson will officiate. Interment will follow in Floral Memory Gardens Cemetery. She was born in Randolph County, GA to the late Beaman D. Bruner and Mary Lou Ragland Bruner. Mrs. Tanner moved to Albany, GA in 1947 where she graduated from Albany High School. She was married to Claude B. Lush for forty-nine years and together they raised three children. 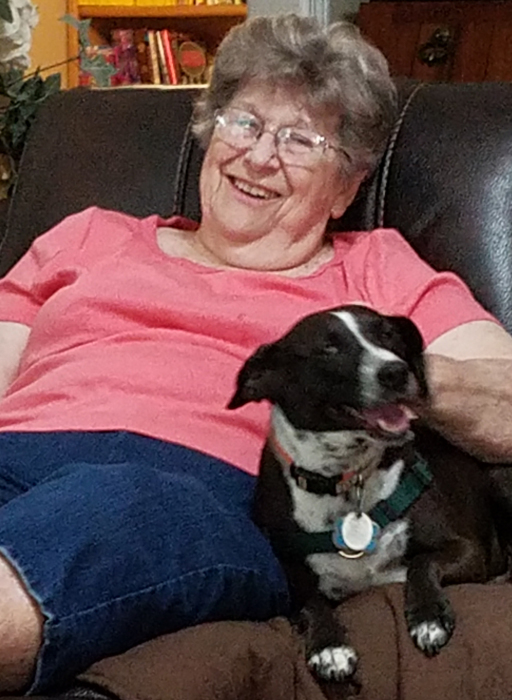 After retiring from Albany Marine Logistics Base in 1991, she moved to Cobb, GA where she was very active in the community volunteering for Habitat for Humanity, Sam’s Shortline Railroad, Meals on Wheels, and was a member of First United Methodist Church of Cordele. She was married to Robert Louie Tanner from 1999 until his death in 2015. She was preceded in death by her husbands, Claude B. Lush and Robert Louis Tanner, her son, Gary Lush and her siblings, Mary Ragan, Thomas Bruner, Tot Bruner, Sonny Bruner, Dirlie Wages, Henry Bruner, Robert Bruner and Ralph Bruner. Survivors include two daughters, Anna Lush, Avera, GA, June Lush Forbes (Eddie), Hampton, GA, and a sister, Lucile Garrison, Americus, GA. The family will receive friends Thursday from 2:00 p.m. until the funeral hour at Mathews Funeral Home. Those desiring may make memorials to Southern Grace Hospice, Attn: Foundation, 384 Racetrack Road, McDonough, GA, 30252. The family will receive guests at their home in Cobb, GA.